Walsine Pierce: WEALTHY? Yes Or No. You Decide! 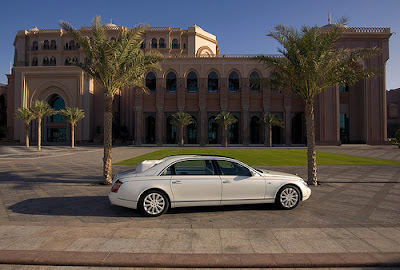 This is a picuture of Rush Limbaugh's $450,000 Maybach 57S. It is one of Maybach's cheaper models. Rusbo makes up for it being cheaper by owning six of them! He likes to change color from day-to-day to match his mood. Un Huh! Rush Limbaugh is famous and his fame has brougt him wealth. Will fame, and being at the top of your "game" bring you wealth? Consider what Cleopatra, Vincent Van Gogh, Adolph Hitler, Meriweather Lewis and Marilyn Monroe had in common. They were all famous. What they had in common is that they all comitted suicide. Life was not worth living. Anything but wealthy! ﻿Wealth (n) A great quanity or store of money, valuable possessions, property and other riches. An abundance or profusion of ANYTHING; plentiful amount of a wealth of imaginry. ﻿Yesterday, I helped celebrate my youngest grandson's 13th birthday. Riley James Pierce Boggs is now a teen ager! Seemingly impossible. His mother invited me to a birthday lunch and movie with Riley. We had a steak at the Longhorn Steak House and went to see Very Loud and Up Close. I enjoyed myself immensely! We took this same picture a year ago when I took him to lunch on his 12th birthday. Riley got a year older and I just got better looking. Riley is going to be faced with a very difficult challenge in life. I pray that he will do well. He has so much going for him. His parents, both well educated and extremely hard working, are quite successful as may be measured by their new 8,000+ square foot home in a gated community of similiar homes. He and his sister, Delanie Rose Pierce Boggs, attend a private school, pictured right, with some of American icons of wealth and industry. The cost of their schooling is about twice my annual income. Riley, in the 7th grade, has studied four languages and speaks French well. From 20,000 students considered, he is one of only 20 that has been chosen to represent his country as a student-to-student ambassador around the world throughout his high school years. He has been a key player on two youth league champion winning football teams and now plays "shooting guard" on an undefeated basketball team. He is good looking, takes after me, no doubt! He is polite, speaks English so well that he amazes his teachers, (His mother is an English Major). He started to be a perfect host when he was about five years of age. He dresses well and, for the most part, conforms to all you could want in a 13 year old youngster. ﻿Riley's neighbor boys are the sons of two doctors. His class mates parents are within the top one percent of the wealthiest. His paternal grandparents are very well-to-do, at the least, and his older cousins reflect their wealth and have considerable influence on Riley. My wife, Julie, and I have cared for Riley and his sister a lot over the years. 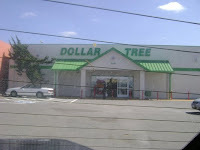 One of the joys we had with the kids was to give them each $2.00 and take them shopping at the Dollar Tree. They would choose this and then that. They would change their minds over and over. It was an easy and fun hour of baby sitting for their parents. The day came, however, when Riley just rode in the shopping cart, playing a game, and didn't want anything. When I pursued the reason why, he eventually told me that "This store just has junk". Were I a betting man, I'd bet he was reflecting what his cousins had told him when Riley bragged about our fun times in the Dollar Tree. We've never been back. I miss it! 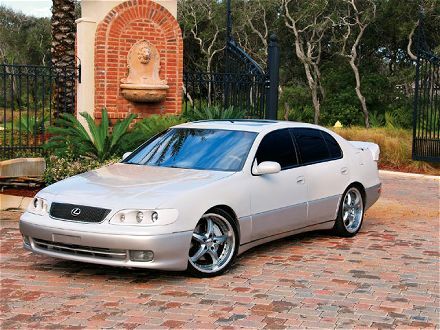 When Kimberly and Jack bought their new Lexus, they gave us their 1995 Lexus ES300. The current blue book resale value of the car is $4,330 and it was a generous gift. I have put about $2,300 into improvements and have made arrangements to have the paint touched up here and there. Riley asked his dad "Why would you want to give them that old car, and why would they want it?" It is too small for me but Julie loves this little car. She will probably drive it until she retires and then, in order to reduce maintenance, insurance and license fees, we will probably go from three cars to one, newer van. When we were both out of a job due to a plant closure, after travelling the country for three months in a travel trailer, we decided we wanted to live right where we were, in Barberton, Ohio. 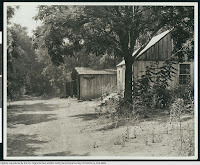 When I considered early retirement, we downgraded to a smaller home which we had been renting. I had the home completely remodeled, inside and out, and had a professional decorator furnish it to our tastes. IT IS A 107 YEAR OLD HOME IN A BLUE COLLAR NEIGHBORHOOD, BUT WE ARE VERY PROUD OF IT. A wide range of friends and family scramble for invitations to our theme dinners, from a Tijuana Whorehouse to a South Seas Island Sea Food Buffet. Riley asked us "WHY DO YOU WANT TO LIVE IN THIS OLD HOUSE? IT'S SO SMALL!" RILEY COULD NOT SEE THE HOUSE PERFECTLY FIT OUR CHOSEN LIFESTYLE! I remember how difficult it was coming from the extreme poverty of the great depression. It was difficult coming from a backward part of the country. That probably helped Julie and I to assess true wealth, the part of "having an abundance or profusion of anything". We are warm and dry. We have food to eat and food to share. We have things to do and places to go. We have many wonderful friends. The extended Pierce family is a profusion of everything good. He is blessed with wonderful, down-to-earth parents who love him very much. They are great examples. They are both involved in his life. I am sure he will turn out to be just like them. I pray I shall be around to enjoy him into manhood. He has brought such joy into my life! Dad, good post. I, like you, have great confidence and faith in Riley. He is a special young man. When you are "Meek, Lowly and Humble, Sweet, Gentle and Kind, like I am, telling it "like it is" just comes naturally!